This ebook has now been unpublished, so it is no longer available. Tim Ellis - Tim Ellis lives in Harrogate, North Yorkshire in the UK, where he runs a small gardening business. He is fascinated by wildlife, especially birds, and with his partner the artist Robbie Burns he has travelled around much of the world seeking out the rare and the beautiful.As a poet he divides his talents equally between page and stage. His first book was a collection of 40 sonnets around a theme of birds called Birds of the World in Colour, published by Flarestack in 2004, and his second book was a poetic journey through Latin America called Gringo on the Chickenbus, published by Stairwell Books in 2011. 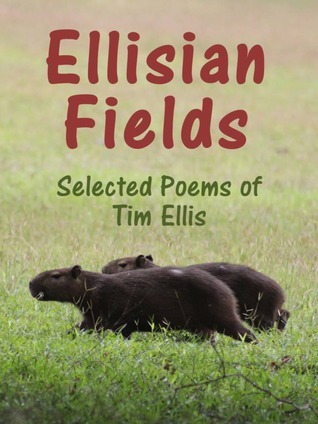 Most recently he has published On The Verge, an e-book which he is selling to raise funds for rhinoceros conservation.His poems have appeared in several magazines including The Dalesman, Orbis and the Poetry Society’s Poetry News. He has won many prizes including 1st prize in the 2011 Huddersfield Grist Poetry Competition.On the performance side, he is a well known face at slams, festivals and Open Mics throughout the North of England. He is a previous winner of the Ilkley Literature Festival Open Mic Competition and in 2011 he won the first York Poetry Slam. He can occasionally be found at poetry events in York and Leeds, but his principal haunt is Poems, Prose and Pints at the Tap & Spile pub in Harrogate, of which he is an organiser.